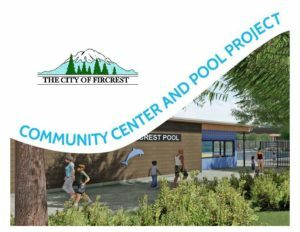 The City of Fircrest has initiated the process to rebuild the Roy H. Murphy Community Center and Pool. The community center was built in 1960 and the pool in 1962 to serve what had become a community of 3,500 residents. 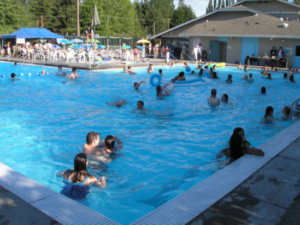 These facilities are located in the heart of the 21-acre parks system, at Fircrest Park. The existing pool has widespread recognition of issues; the cost of renovating the pool approaches the cost of a new pool that would fix these problems and provide more current amenities. 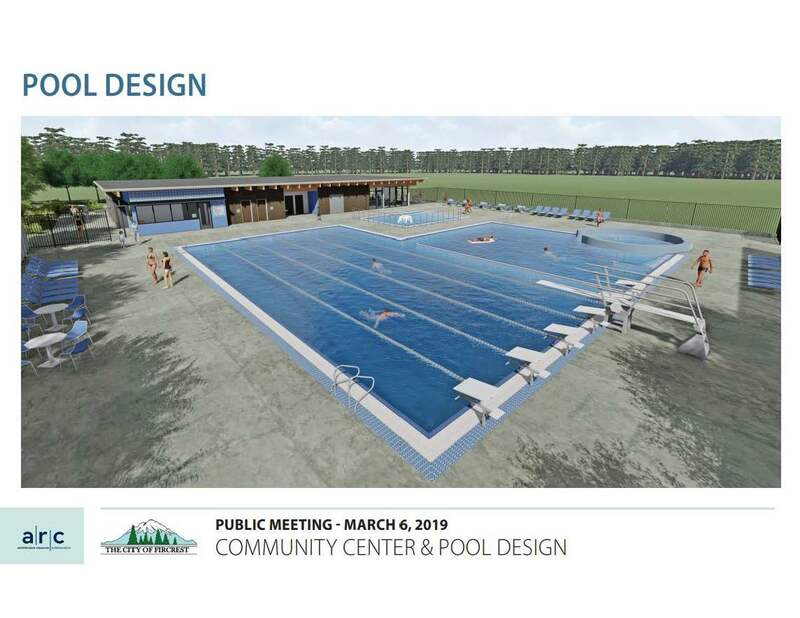 The City obtained the services of ARC Architects in 2016 to perform a Pre Design Report, which recommended that the pool be replaced with a new pool with a new 50-year lifespan. 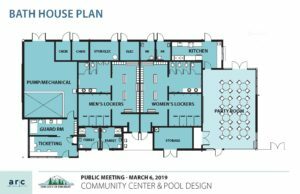 A survey conducted in 2017 showed strong support for saving the pool and this input will be a part of the ongoing process of developing a long-term plan to address the future needs of the community center and the swimming pool. Since the survey, the City has acquired the services of a bond underwriter and bond counsel for guidance on developing a sound financing structure to finance the project. ARC Architects will continue to guide the City to select a preferred option, a financial plan to fund the project, and sufficient information to fully inform the public. (A PDF version of this information is available here). Why do we need a new pool? The pool opened in 1962, and after 57 seasons of serving the community it has reached the end of its lifespan. It leaks thousands of gallons a day. The city spent $33,000 trying to repair it last year, and it still leaks. There are no more fixes; the city can’t find replacement parts anymore. Why do we need a new community center? The community center opened in 1960 and needs lots of improvements. Additions over the years have compromised the design and functionality of the center. This has negatively impacted the customer experience as it relates to the perception of a safe, clean, and welcoming environment. Youth describe the teen room as unwelcoming and isolated in a way that doesn’t feel safe. In addition, the building has a leaking roof, the junior high-scale gymnasium is undersized, the bathrooms are small, do not meet ADA requirements, and do not provide any measure of privacy, and the gym’s rubber floor is failing. Seismic building standards have changed substantially over time. Major renovations are hard to accomplish without required ADA and seismic upgrades, and at that point renovation costs will approach replacement costs. At 59 years old, a cost benefit analysis favors rebuilding rather than spending money on renovations. Two community surveys show that people feel the building is old and dingy, and not welcoming anymore. What are the amenities in the new facilities? 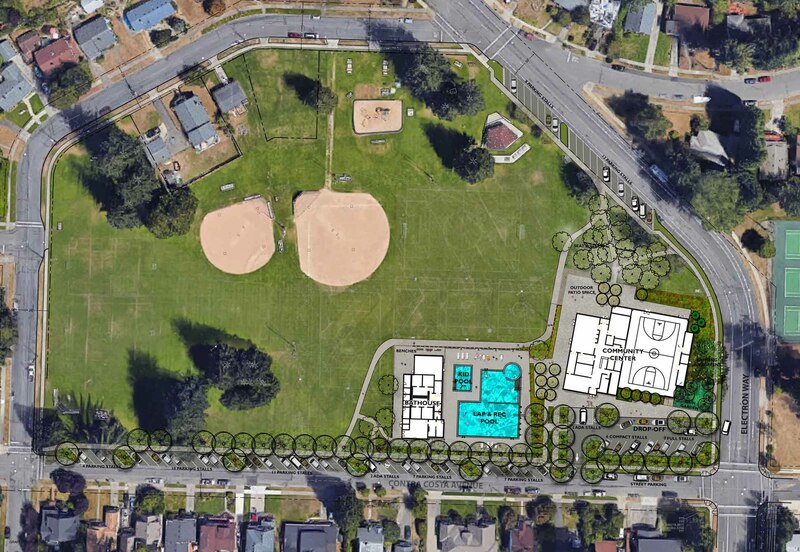 What about parking around the new community center and Fircrest Park? 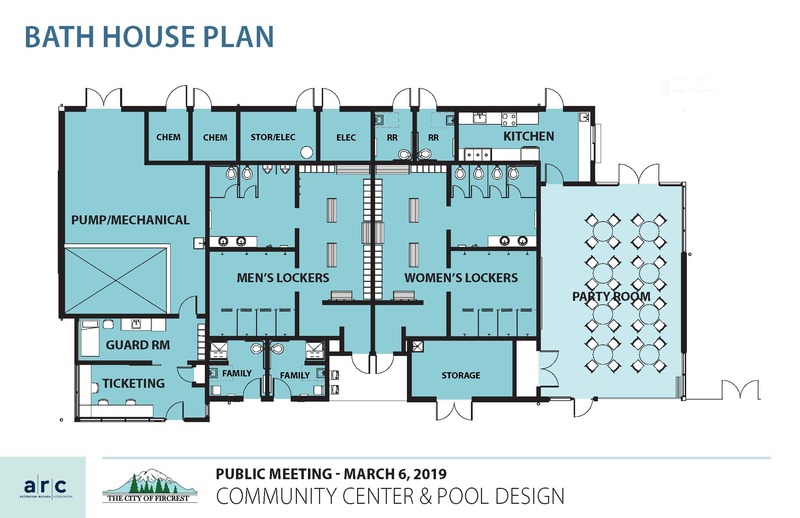 In discussing the layout early in the design process, both the community and the City Council provided feedback urging the design team to reduce on-site parking so that the new pool and community center would not encroach too far into the park. For cost saving measures, angle-in street parking around the park will be designed and built by the City, just not as part of the project scope and funding (View the Site Plan Rendering materials online). Is there anything else in the park bond? What will it cost, and how will you pay for it? The city hired The Briggs Group as a fundraising consultant to help raise money from community foundations and individual donors. What will the park bond cost homeowners? 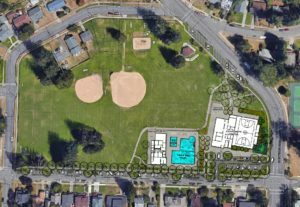 The park bond would cost Fircrest property owners an estimated 68 cents per $1,000 of assessed value. The current median home value in Fircrest is $390,000, and that homeowner would pay an estimated $265 a year, or $22 per month. Will you spend the full $13.5 million in property tax revenues? The bond authorizes up to $13.5 million. The city is budgeting for $4.5 million from other sources: city funds, state grants, and private philanthropy. If the city can generate more than $4.5 million from those other sources, it can draw less from the bond. Are property taxes really going down overall? For 2019, local school levies drop to $1.50 under the new McCleary funding formula. The Tacoma school levy will drop from $3.52 per $1,000, and the UP levy will drop from $3.53 per $1,000. That decrease of over $2.00 per $1,000 in valuation reduces property taxes by $800 for the owner of a $400,000 home. More information is available on the Pierce County Assessor-Treasurer’s website. It’s important to note that some state lawmakers are working on an adjustment to the school funding formula, due to the big cuts that were imposed on urban districts like Tacoma. The local levy cap might be raised from $1.50, but no one knows at this time what the final number would be. Is there a tax break for seniors? Not specifically for this park bond. However, the Pierce County Assessor’s office has information about general property tax relief for qualifying seniors and people with disabilities. What will it take to approve the park bond? Approval is a 2-step process. To validate the election, tax levies require a minimum turnout of 40% of the previous November general election. Based on turnout from the November 2018 election, the minimum turnout requirement for the park bond will be approximately 1,418 voters. After meeting the minimum turnout requirement, it takes a 60% super-majority “yes” vote to approve the bond. In other words, the park bond could get 59.9% of the vote and fail. Does the City lose the state grant money if voters say no? 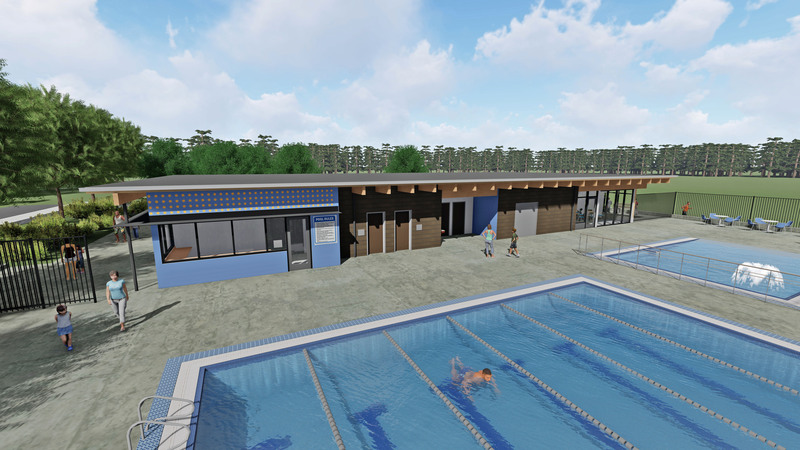 The City will have to return the $750,000 state grant if it doesn’t build the pool. 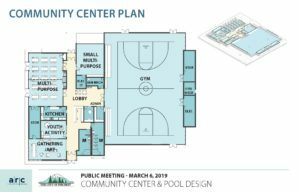 State Reps. Mari Leavitt and Christine Kilduff sponsored the city’s request this year for a second grant for the community center portion of the project. The proposed House Capital budget includes $1,000,000 for the community center. City staff are working with State delegation to ensure this gets included in the final State Capital Budget. 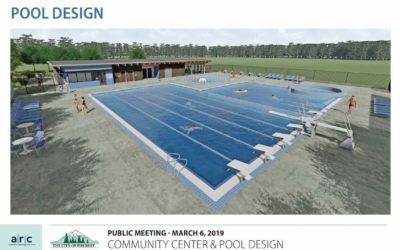 A majority of the City Council would have to agree on next steps for the pool and community center. However, the deteriorating pool is almost certain to close after the 2019 season, regardless of the outcome. The gym floor must be replaced. Will you build it all at once or in phases? Will swimmers miss a summer season? Is the government still providing postage-paid envelopes for ballots? Yes. Voters can mail their ballots for free. Or they can drop it off in any of the county’s official ballot drop boxes, including the one outside Fircrest City Hall. How would a new pool and community center operate differently? The City would optimize the spaces in a modern pool and community center for programming, general community use, and rentals. If the park bond is approved, the City would offer additional and different programming for all ages based on community need. For example, the senior yoga program is growing in popularity, therefore more classes would be offered. The youth basketball league is currently at capacity, however, a new gym would allow more teams and players to register. The “party room” at the pool would be available for year-round rentals for parties, meetings, and celebrations. The multipurpose rooms in the new center would be better configured for rentals and classes. The new community center is not expected to cost any more than the current facility. City staff estimate the cost of operating a larger modern facility is offset by the cost of running the current 59-year-old facility. Does the City of Fircrest have a good track record of paying off debt? The City’s General Fund, which covers police, parks and other general services, has no debt. The City paid off the last park bond, which was approved in 1993, and it built a new City Hall in 2000 and paid it off in 10 years. The City’s only current debts are in the water and sewer utility funds, which by law are separate from the General Fund. The water utility debt will be paid off in 2022, and the two sewer loans for sewer main replacements will be paid off in 2030 and 2035. Is the kiddie pool free? What will it cost to use the pool? The kiddie pool is a popular feature. It’s too soon to know exactly how the fee structure would work, but the City is analyzing fee structures related to the business plan. Kids under a certain age will have free admittance to both pools. Access to the pool by Fircrest residents is always the top priority, which is why there are resident and non-resident rates. How will this affect the Fircrest Soccer Club? Will they lose any space? The City and the nonprofit Fircrest Soccer Club (FSC) have been partners for over 30 years. The FSC board endorses this project, and the City is committed to making sure fields remain viable for the club. 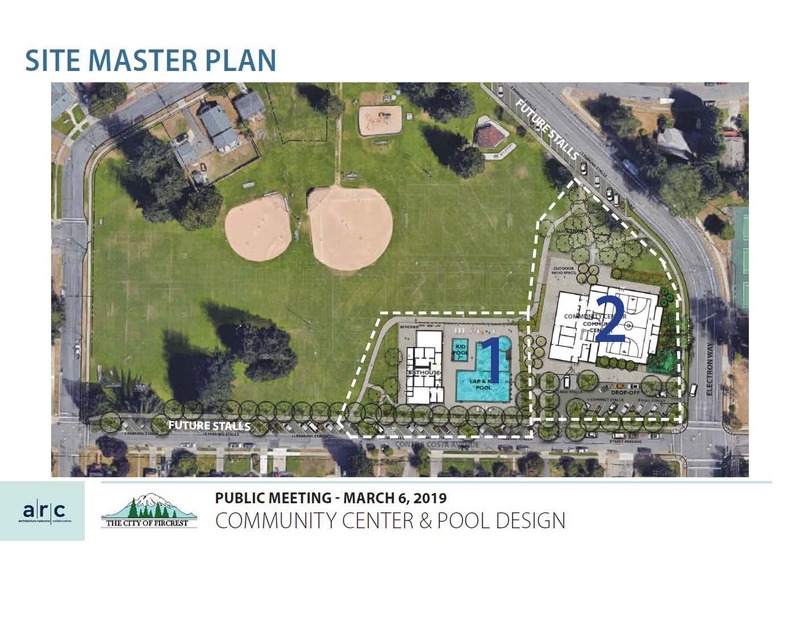 In fact, the Park Bond includes turf, irrigation and lighting improvements to Fircrest and Whittier Parks that would provide better playing surfaces. 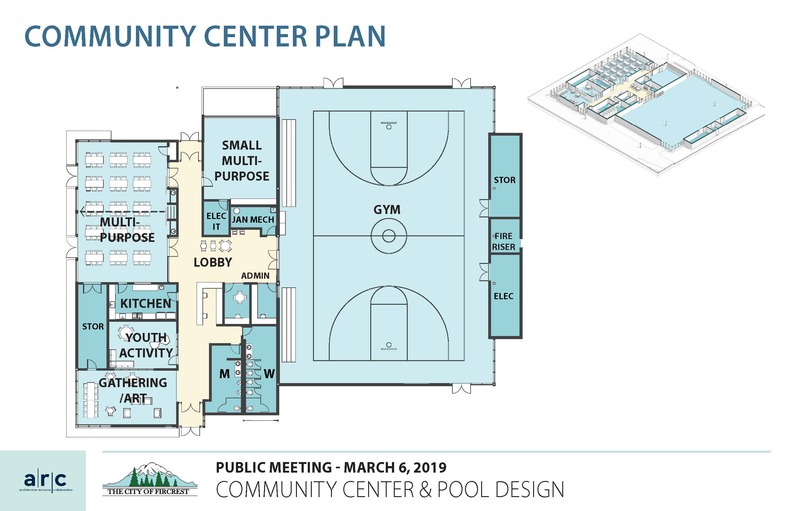 The volunteer Pool, Community Center, and Parks Steering Committee was formed in 2018 to help guide the project scope and design, make the business case for the projects, and help with public education.